DAVID LE/Staff photo. 4/29/15. 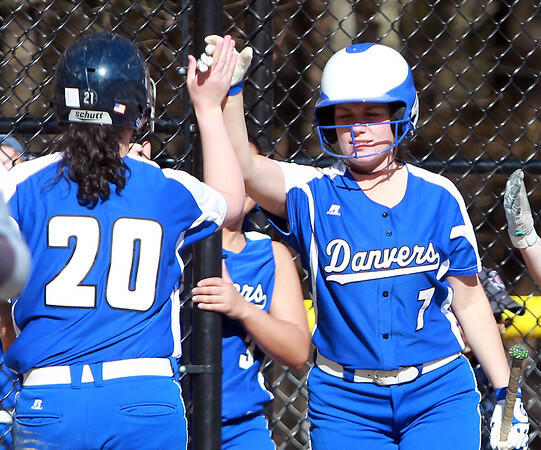 Danvers senior captain Caitlin McBride (20) gets a high-five from junior teammate Lizzie Prentiss (7) after scoring.